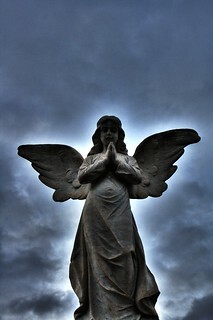 Are you speaking to the angel or the bookkeeper in your donor communications? When you write your donor communications, are you speaking to your donor’s inner angel or to their inner bookkeeper? The inner angel is the part of your supporter who decides to give you a donation or to volunteer their time with you because you have touched them in some way, and that angel wants to touch you back. Angels are all heart, and they are usually in charge of decisionmaking. You need to keep the angel on your side. The inner bookkeeper is the part of your supporter that needs a receipt for the donation for their taxes, or the directions to your event, or other logistical or factual information. Bookkeepers are all head. We like to think our bookkeepers are in charge most of the time, but they really aren’t. You can certainly annoy the inner bookkeeper if you don’t give them the data when they really need it, but the truth is, if the angel is on your side, it doesn’t really matter whether the bookkeeper is irritated or not. It’s hard, if not impossible, to speak to both equally at the same time. That’s one of the points I tried to drive home during the webinar I did yesterday, “Writing Nonprofit Thank You Letters that Inspire Future Gifts” at CharityHowTo. For example, I argued that good thank you letters should be much less of a receipt for the bookkeeper and much more a greeting card (or even a love letter) to the angel. Make the body of the letter all about the angel, and put the receipt info, including that awful IRS disclaimer language if needed, at the very bottom, maybe in italics or smaller type, after any P.S., but fully apart from the letter. Want to learn much more about the differences between the angel and the bookkeeper? Follow Katya Andresen’s blog, where she talks about behavioral economics a lot. And read Switch: How to Change Things When Change Is Hard (Amazon).